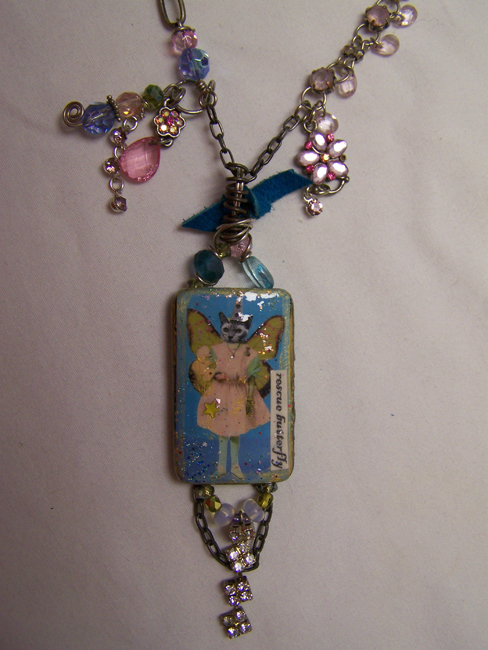 Purely whimsical, this "Rescue Butterfly" Siamese Kitty necklace is purr-fectly charming as well! It has a slightly Victorian look with luscious vintage beads, charms and rhinestones--very feminine, as every "rescue butterfly" should be! The back is signed and dated, and it's sealed with a glossy resin layer to protect the kitty collage. 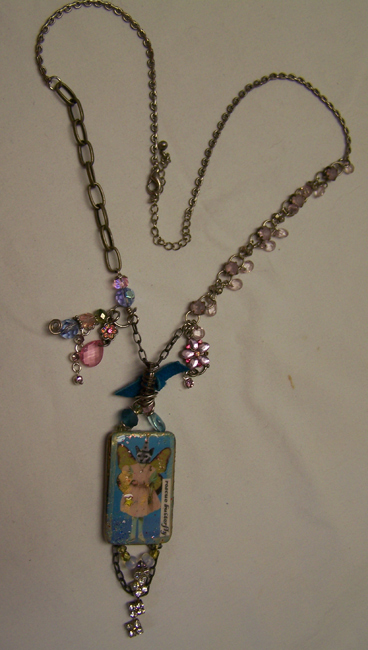 It has a 24" chain with lobster clasp, and the main piece is 1 1/4" x 1 3/4".